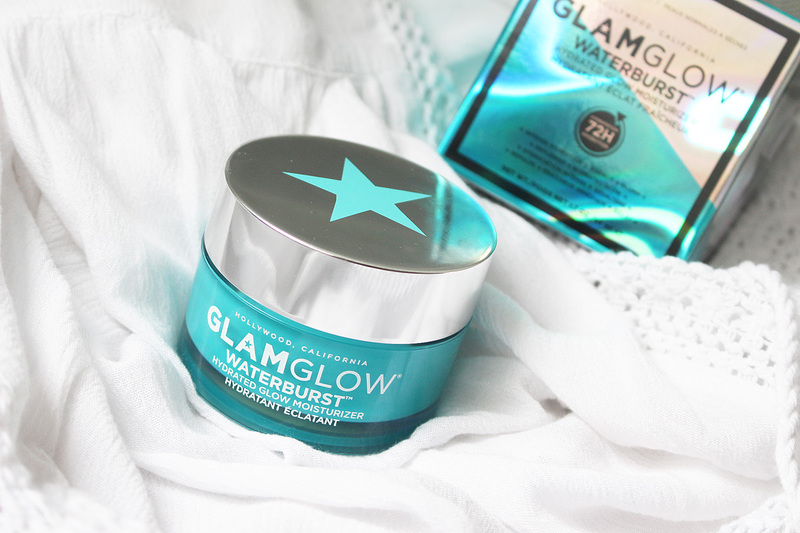 Today I want to share some love for the GlamGlow WATERBURST™ Hydrated Glow Moisturizer*(£39.00) with you. Since the day I got it, I have been obsessed with the scent, texture and the way it makes my skin feel. It's such a fabulous product! Sometimes you just fall in love with something and can't stop talking about it and this is the case with GlamGlow Waterburst. 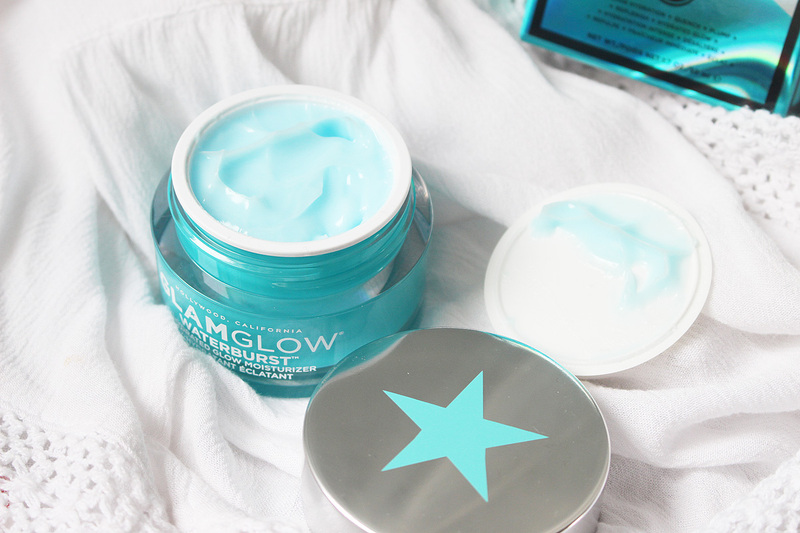 The packaging is similar to the GlamGlow masks and I love the blue jar and silver lid, as it looks really summery. And the beautiful tropical scent makes me feel like I am on holiday whenever I use it. The formula is described as a weightless water cream, featuring moisture-lock technology that delivers 72 hours of instant and continuous hydration deep into the skin. It bursts into water droplets in contact with the skin and the sensation is very refreshing and soothing. Perfect for dry and dehydrated skin, but I would recommend it for all skin types, as it feels incredible, leaving your skin glowing, plump and youthful. The formula contains a triple Hyaluronic Acid complex, water from the volcanic Island of Jeju, TEAOXI® Blue Nymph Lily Extract and hydration technology for supple, ultra hydrated skin. It is also free from parabens, phthalates and sulphates. I apply it mostly in the evening, as the last step of my nighttime regime, but sometimes I like to use a little bit in the morning too, under my makeup, if my skin needs and extra boost of moisture. 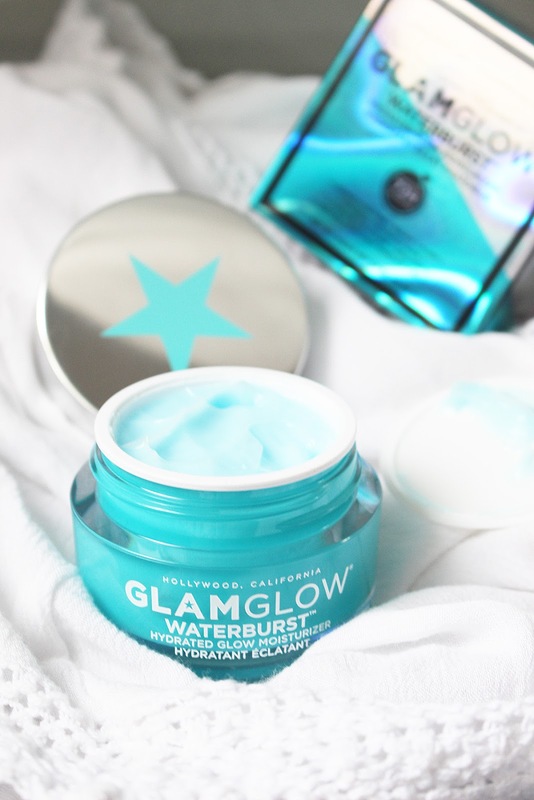 I am really impressed with the GlamGlow Waterburst Hydrated Glow Moisturiser and I honesty can't get enough of the scent and the formula. It's such a treat for the skin! I can't recommend it enough.